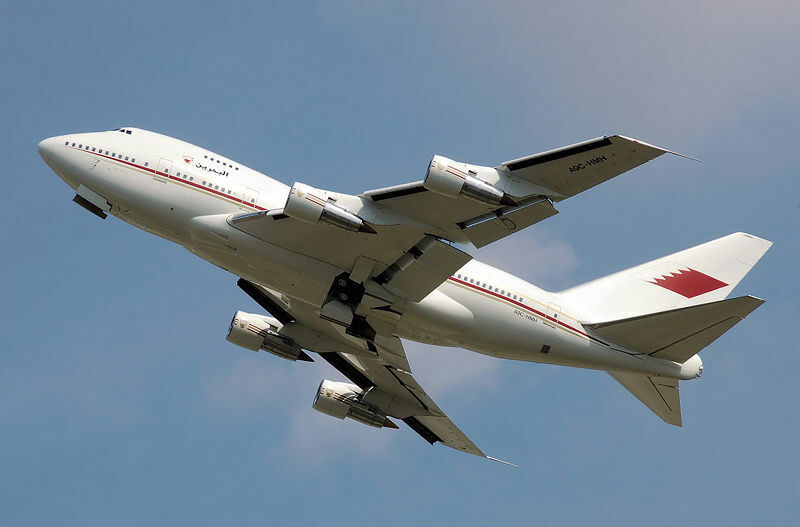 The idea for The 747SP came from a joint request between Pan American World Airways and Iran Air who were looking for a high capacity airliner with enough range to cover Pan Am's New York-Middle Eastern routes and Iran Air's planned Tehran-New York route. The Tehran-New York route when launched was the longest nonstop commercial flight in the world. The 747SP is 48 feet 4 inches (14.7 m) shorter than the 747-100. Except for the planned 747-8, the SP is the only 747 with a fuselage of modified length. Fuselage sections were eliminated fore and aft of the wing, and the center section of the fuselage was redesigned. Single-slotted flaps replaced the complex triple-slotted Fowler flaps of the 100 series. The under-wing "canoes", which housed the flap mechanisms on full-size 747s, were eliminated entirely on the SP. The 747SP, compared to earlier variants, had a tapering of the aft upper fuselage into the empennage, a double-hinged rudder, and longer vertical and horizontal stabilizers. The 747SP was granted a supplemental certificate on 4 February 1976 and entered service with Pan American, the launch customer and Iran Air, that same year. The aircraft was chosen by airlines wishing to serve major airports with short runways. A total of forty-five 747SPs were built. The 44th 747SP was delivered on 30 August 1982. Boeing re-opened the 747SP production line to build one last 747SP five years later in 1987 for an order by the United Arab Emirates government. As of August 2007, 17 Boeing 747SP aircraft were in service with Iran Air (3), Saudi Arabian Airlines, Syrian Arab Airlines (2) and as executive versions. NASA's Dryden Flight Research Center has one modified for the SOFIA experiment.